Loomstate !Act Natural! Blog: Seeds are COCONUTS! The concept of a seed is mind-boggling. It's something we learn as a kid, but still wrestle with as an adult. Everything for that giant tree is packed into that one little seed that looks nothing like it?! No way. AND that tree will only grow if that genetically-packed seed finds itself into the perfect (not just ideal...perfect) environment. AND each little seed has to be engineered in a way to get to that perfect location by air, by getting stuck to an animal, by getting consumed by an animal, and some by water. Which brings us to one seed we find particularly interesting...the coconut! A palm tree puts so much energy into producing just a few coconuts each year, with high confidence that a few of them will root and grow on up. When a coconut drops to the ground it might roll a few feet and root and grow up next to mom (but like a human, too much under the fronds of mom could deter their growth), or it could drop in the ocean and get swept down the coast to a new beach...like this little one below. Ideal Environment - coconuts grow best in an area with sandy and loamy soil, 72 degree temps or above, with 30-50 inches of rain per year (where we grow best too). Until around 80 years, a coconut palm will produce 50 to 200 coconuts each year. 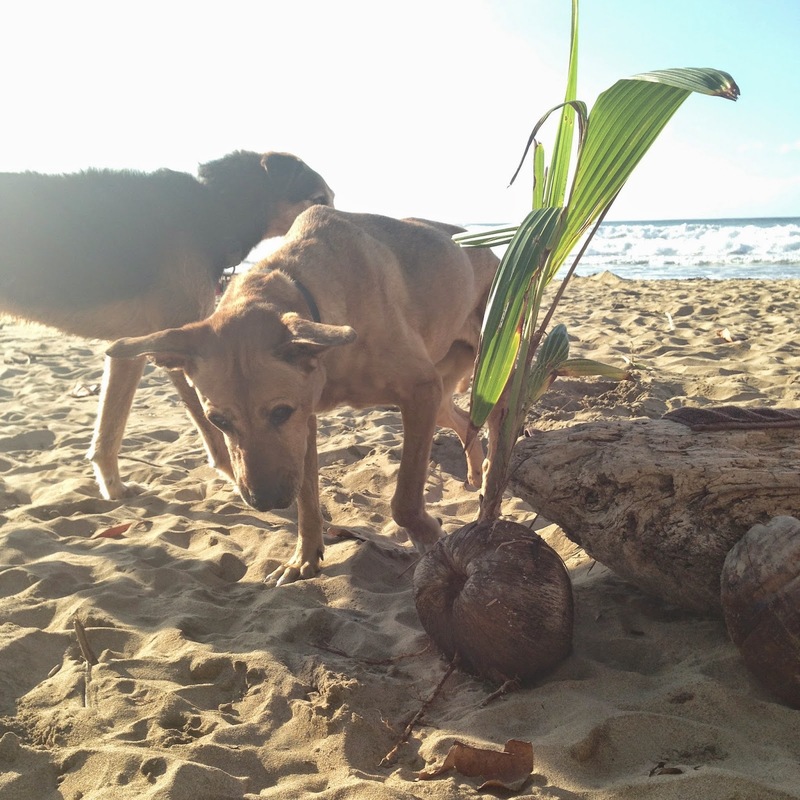 Coconut palms grow on or near shorelines so their shallow root system has access to water. Everyone has been lying to you. Here's the truth - a coconut is really a drupe - a fruit with a hard case around the seed. But really, it falls into the fruit, nut, and seed categories as well (that is confusing and you can read more about here). Each coconut has layers - around the seed there is a fibrous, woody layer, a fleshy layer and an outer layer (typically smooth with a greenish color). The liquid inside is the endosperm, or food for the young seed. As the seed matures, the endosperm becomes firmer and will sprout from one of it's eyes. Ah! Each coconut has three pores, called eyes. The shoot will head up and turn into fronds and the roots head down in the opposite direction. It takes 4-10 years for a coconut tree to reach maturity (dwarf trees mature faster). Coconuts reach their full size in about 6 months, but it takes about a year to mature. When they mature this is when they begin to drop from the tree, also when you should be wary of falling coconuts! Another lie - botanically speaking, the coconut palm is not a tree since there is no bark or branches. A coconut palm is a woody perennial monocotyledon with the trunk being the stem. Enough thinking...time for a surf.